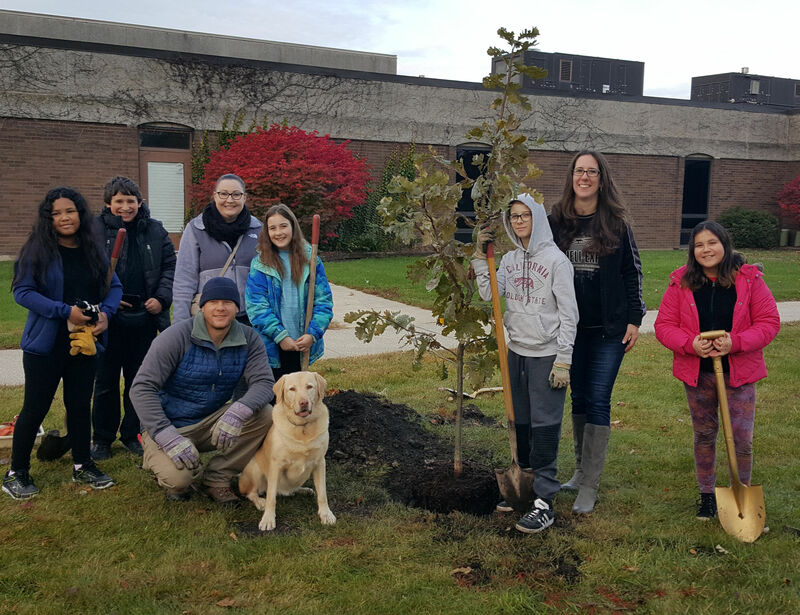 In the month of October, the Village of Westmont and CUSD201 students planted Oak Trees at Westmont Junior High and Westmont High School. The trees were donated by Possibility Place Nursery in Monee, Illinois. "Oak trees are a very beneficial species," said Westmont Village Arborist Jon Yeater. "Oaks are actually one of the faster growing and most environmentally beneficial native tree species in our area." Yeater has researched area native trees and found pre-settlement records that show the northern portion of Westmont was once an Oak-Hickory forest. Working with CUSD201 staff and the High School’s Environment Club, the Village has successfully planted the new trees at the Jr. High and High School for more than 15 years.